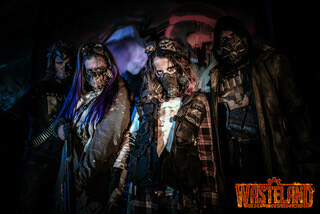 LONDON – Halloween comes early this year for UK residents; following the runaway success of their previous Zombie Shopping Mall Experience, (which ran for 6 years), Zed Events presents the all new Wasteland Experience this July, the world’s first true post-apocalyptic combat scare attraction. In this two hour immersive experience, guests will head down to an abandoned mall in Reading, as they fight for survival while being chased down by ghoulish creatures lurking in the dark. But guests won’t be unarmed in this epic battle against the forces of evil though – guests will be engaging with their enemies with ultra realistic weapons in the form of the iCombat tactical training system, with ultra realistic guns with recoil, noise, muzzle flash and hit detection and no projectiles being fired. Add to the experience with the fact that there’s been an entire world created just for this Wasteland – the UK has been ravaged by nuclear war and left in a post-apocalyptic state, and the world has reverted to primal, warring tribes, as visitors clash with other survivors and lethal creatures across the 25,000 square foot shopping mall. It’s an experience that you’ll be completely immersed in too, with a team of creatives fully utilising their experience working in the film and TV industry and creating other scare attractions, created and designed by companies such as top notch post-apocalypse costume makers Mark Cordory Creations, Dust Monkey and the Oscar winning Coulier Creatures. 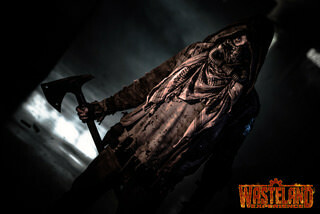 Prepare yourselves for an adrenaline-fuelled night as you step foot into this crazy world of the Wasteland Experience, feel the true rush of fear, and have your survival instincts kick in as you engage in the fight of your life.